Rare earth elements (REE) have occupied a quiet corner of the mining industry since the late 1950s, but their unique properties have made them crucial to a number of emerging and growing technologies, increasing their demand and strategic importance. The term “rare” is actually a misnomer and a carryover from metallurgists from before 1950. The metallurgical processes needed to isolate the individual metal species are complex, and early technology prevented commodity-level production. As a result, lanthanide metals or metal oxides (i.e., REOs) were difficult to obtain and considered rare. Actually some of them are relatively abundant in the earth’s crust, but seldom occur in economic deposits. Following a common pattern within the periodic table, the lanthanides with even atomic numbers are more common in nature. Another observed pattern is in the relative abundance, REE with lower atomic numbers are more common ionic constituents in REE mineral ores and, in general, occurred in greater abundance than the REE with higher atomic numbers. This has led to a divide between light and heavy REE. REEs do not occur as native elemental metals in nature, only as part of the host mineral’s chemistry. A rare earth mineral (REM) is a mineral which contains one or more rare earth elements as major metal constituents. Despite more than 200 known REE-bearing minerals, only three are considered to be the principal REE mineral ores most feasible for the extraction of REMs: bastnasite, xenotime, and monazite. 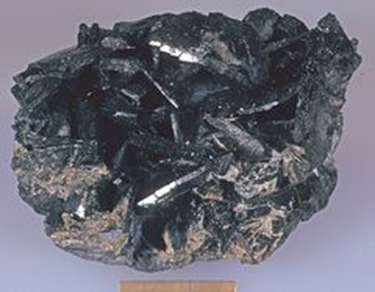 Bastnasite, the most abundant among the three REE mineral ores, is a carbonate mineral found mainly enriched in LREEs (e.g., cerium, lanthanum, and yttrium). Bastnasite is found in vein deposits, contact metamorphic zones, and pegmatites. It forms in carbonate-silicate rocks occurring with and related to alkaline intrusions (e.g., Mountain Pass mine). The two phosphate minerals, xenotime and monazite, can occur together, but crystallize in different temperature and pressure regimes from a similar igneous environment. 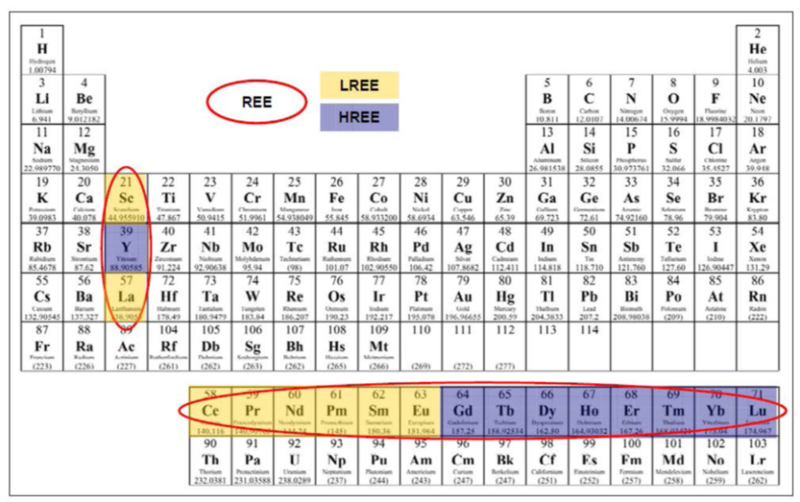 While these minerals can contain any of the REEs (i.e., HREEs or LREEs), enrichment of specific REEs is variable and a function of the temperature and pressure regime in which they formed. Monazite commonly occurs in placer deposits; xenotime can occur along with monazite, but generally occurs as a more minor constituent of these types of deposits. 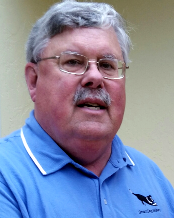 Deposits of phosphate rare earth ores provide the opportunity to produce co-products of phosphates and REEs. Thorium and uranium may also be taken advantage of and produced as a co-product, or may represent a significant management challenge. 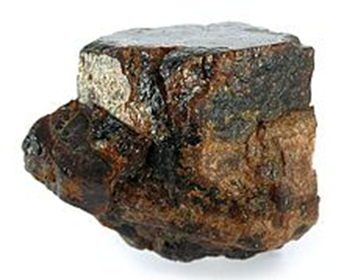 Monazite is generally enriched with the LREEs cerium, lanthanum, and neodymium, but can also contain HREEs, particularly yttrium. 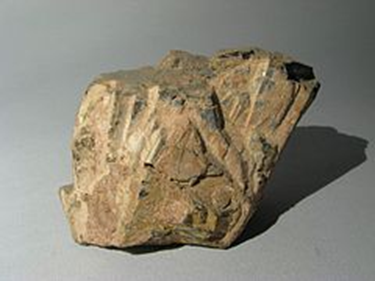 The predominance of LREEs is due to the lower crystallization temperature and pressures of this mineral; however, it typically contains more HREEs than bastnasite ore deposits. It occurs in acidic igneous rocks (primarily pegmatites), metamorphic rocks, and some vein deposits. Monazite is resistant to weathering and occurs in many placer deposits as the host rocks are eroded. Thorium may also be associated with monazite in various amounts. 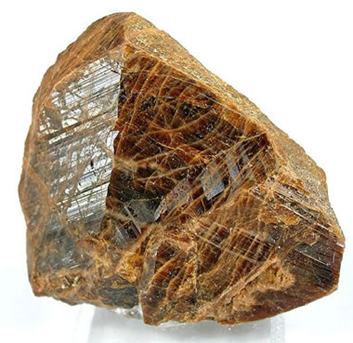 Xenotime crystallizes under higher temperatures and pressures than those of monazite; therefore, its crystalline structure more readily accommodates a higher ratio of HREEs (terbium through lutetium, and yttrium) than is commonly found in monazite. It is primarily a yttrium phosphate mineral and occurs as a minor constituent of granitic and gneissic rocks. Although not always present in significant quantities, uranium and thorium can also occur as constituents of xenotime. There are two other important REE-containing minerals in the United States; euxenite and allanite. 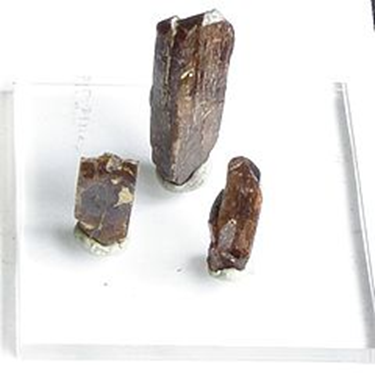 Euxenite which contains yttrium, erbium, and cerium. It is found mostly in placer deposits in Idaho, and occurs as a tantaloniobates (e.g., minerals where Ta and Nb form the compound) of titanium, rare earths, thorium, and uranium. Allanite is an epidote mineral and contains cerium, lanthanum, and yttrium. It occurs in igneous, metamorphic, and hydrothermal environments and is disseminated in pegmatite or occurs in vein deposits. The principal future domestic supply of REEs is one carbonatite formation in Mountain Pass, California. Other common and potentially viable deposit types containing almost exclusively the two phosphate REE-bearing minerals (monazite and xenotime) are most common as placer ores that originated from the erosion of pegmatite granites and related gneisses. Once the rare earth ore has been removed from the mineral deposit, the difficult task of separating the different minerals into oxides begins. Because the elements share similar characteristics, the separation process is complex and it can vary from one mineral resource to another. A deposit could contain a number of different metals; but, with no processes available to extract them all a company might have to focus on one element at the expense of another. Thorium, Uranium and other radioactive elements can also contaminate Rare Earth Element deposits, making the elements more expensive to recover. Once the different minerals have been refined into oxides they are formed into rare earth alloys before they are manufactured into their applications.